PYEONGCHANG, South Korea (AP) — It was, perhaps, the defining moment for the U.S. team at this Olympics. And with it went any chance the U.S. had of redeeming itself in what is shaping up as a frustrating Olympics for an American team that had hopes of ending up near the top of the medal table. The biggest team in the Olympics — 241 athletes — has been a flop so far, winning so few medals that you can count them on both hands. Take away the new wave of snowboarding events, and you can count them with one hand. Norway, a nation of 5.3 million people is leading with 25 medals so far, or one for every 212,000 Norwegians. The U.S., a nation of some 320 million people, has 10 medals or one for every 32 million Americans. It could be worse. Russia — which won the medal count in Sochi four years ago — is still waiting for its first gold medal. But at least the Russians — who are not an official team here — have an excuse because some of its best dopers from Sochi were banned from these games. Even the partial Russian team has 10 medals overall, same as the U.S. The U.S. runs an extensive winter training program with millions of dollars spent every year to train top athletes just for this occasion. The U.S. Olympic Committee took in more than $300 million in 2016 alone, with a big chunk of that used to train elite athletes. That's a lot of money with very little to show for it. Through Sunday American athletes are fifth on the medal list. Take away the new sports added to the Olympics since 1992, and the U.S. would have a grand total of two medals. The Associated Press had projected the U.S. to have 20 medals at this point, and Team USA has averaged 30 medals total over the last three Winter Olympics. With the dismal performance have come dismal ratings for NBC, which paid $963 million for the games, up from $775 million for Sochi. 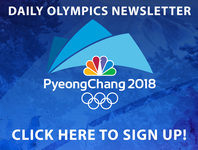 While the Olympics still win the prime-time battle in the U.S., the total audience tuning in was down 16 percent Thursday night, with the viewership on NBC alone down 29 percent. What should be more concerning to the network — and U.S. officials — is the lack of star power emerging in South Korea. Shiffrin delivered gold in her first race, but stumbled in the giant slalom and will have to rebound in the combined and downhill if she is going to become a multi-medalist in these games. White, meanwhile, may be in his last Olympics and was tarnished by reports of a civil sexual harassment suit against him. U.S. teenagers have a lot of potential. Kim dominated in the halfpipe and could be a favorite in future Olympics, and fellow 17-year-old Red Gerard, who won gold in men's snowboard slopestyle . The teen figure skaters Nathan Chen and Vincent Zhou finished fifth and sixth, but they were the biggest jumpers in the competition and could be back with more experience. At the other end of the experience spectrum, former gold medalists Lindsey Vonn and Ted Ligety have so far failed to deliver. Add in the lackluster performance of the U.S. hockey team — which lost 4-0 to Russia on Saturday — and the absence of any medals in (non-short track) speed skating and there's not a lot to cheer about. The games could still be salvaged somewhat by some of the stars with more events left. Shiffrin has an outside shot at two golds in the combined and downhill and Vonn is one of the favorites in the women's downhill. There's a new Big Air event where Americans are competitive, and there may be a medal or two left in some of the outlying sports. But the days when Eric Heiden could win five speed skating golds or American figure skaters could dominate appear over. Hard to believe, but the last medal for a U.S. woman figure skater was the silver Sasha Cohen won in Turin 12 years ago. The rest of the world has caught up, yes. That's little excuse, though, for what has been so far a flop of Olympic proportions.